43AX101 Ben - Home page of 43AX101- Ben. Practical informative site for 11-meter operators DX-ing the South Pacific, DIY antennas,propagation & monitor updated daily. 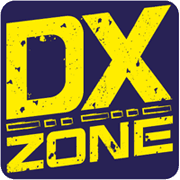 X-Bones Antennas - 10 and 11 meter mobile DX and keydown antennas, radio and amp mods, pics, links, and much more. Caltech Submillimeter Observatory (CSO) - A 10.4-meter diameter, submillimeter spectrum telescope. Situated at the top of Mauna Kea, Big island, Hawaii.